this khoya matar makhana recipe is a pretty simple and straightforward punjabi recipe. the way i make my everyday punjabi gravy recipes and sabzis, minus the khoya and cream. another curry recipe where khoya is added is kaju khoya recipe. 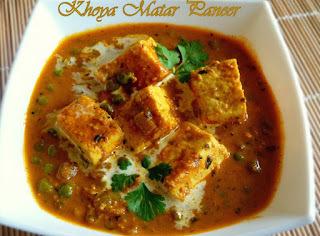 Cut the paneer into cubes and shallow fry in 1 tbsp oil for 5 minutes and keep aside. Dry roast khoya properly in a pan till the smell goes away. in a pan heat 2 tbsp oil ,to that add dry red chillies and bay leaves. Add the onions, tomatoes,green chillies,ginger-garlic paste, mix well and cook till the onion become translucent. 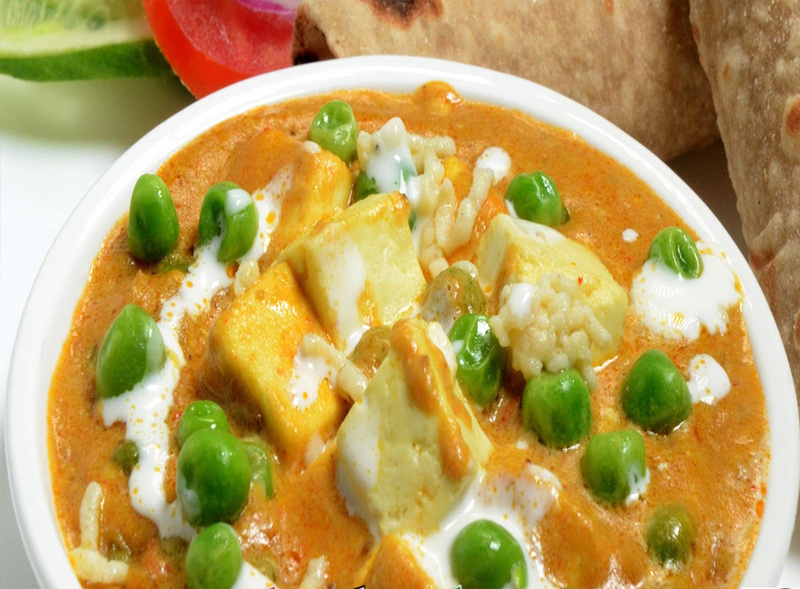 Add the spices ,salt and sugar, peas and khoya, mix well and cook for 10 mins. Add the paneer and one cup of water and cook for some time.